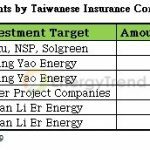 S-Energy Co., Ltd. (S-Energy), a Korean manufacturer of high-quality PV solar modules, announced the newly available financing option to provide more flexible and affordable payment terms for its US customers nationwide. 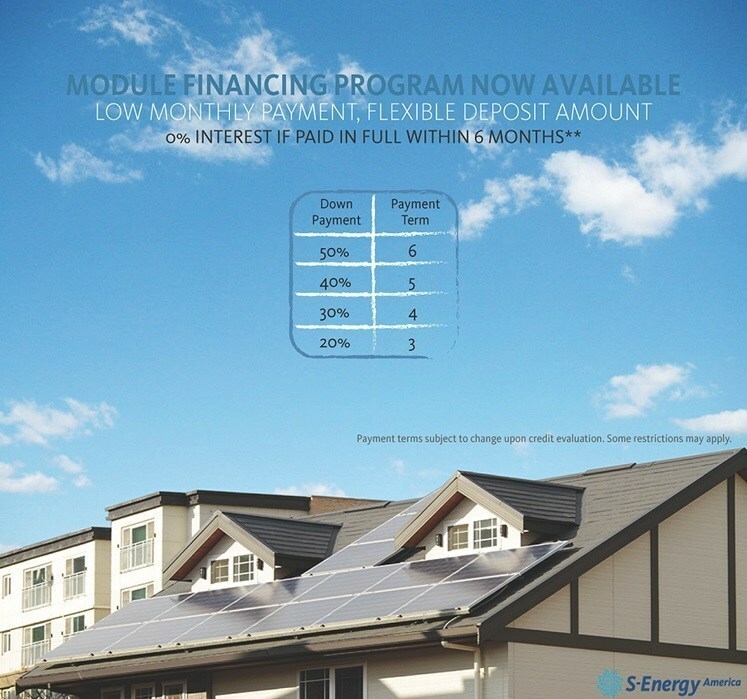 S-Energy America, the wholly owned US operations of S-Energy, provides CVD-free Korean-made modules to major residential, commercial, and utility solar installers throughout North America. "Small to large scale installers around the world can assure you that our modules are built to last. It's something I've admired about S-Energy as well and I think our products speak for themselves," said Matt Allen, Director of Sales, Western Region. "However, small installers sometimes do get discouraged from purchasing our products due to monetary conditions and the objective of this program is to provide them with the financial aid needed by our customers." With the new financing plan, customers will have the option to spread out the cost of their total amount due into more affordable monthly payments and avoid any financial inconveniences. Upon submitting an application, customers will be able to choose from a down payment option of 20 ~ 50% and have their payment terms vary from 3 to 6 months. "Our customers seem to suffer from the unstable nature of the solar industry in US as much as we do," said David Kim, President of S-Energy America. 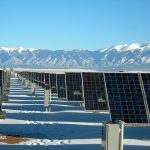 "With the recent decisions made on the anti-dumping and countervailing duties on PV products imported into the country, it has become even more challenging for installers and developers throughout the nation to purchase high quality modules at a fair price. Our priority has always been to meet the customer's needs and I believe that our new financing option will be able to lighten the load of our customers."